When it comes to sophistication, you can do no wrong with a signature Fendi bag. Known for decades as one of the go-to brands when it comes to everyday bags, Fendi bags are a mix of sophistication and good taste. 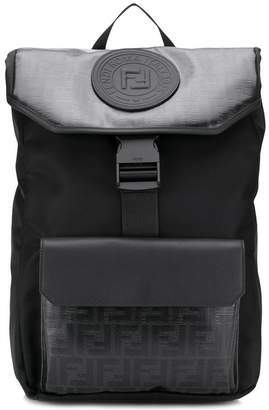 Made in black leather, this monogram backpack from Fendi features a signature FF logo design, a foldover top with clasp closure, a round top handle, a front flap pocket, a main internal compartment and a front logo patch.